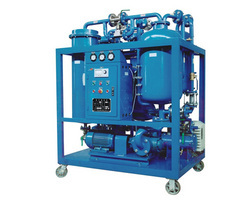 The TY turbine oil purifier is specifically designed for cleaning used turbine oil, particularly seriously emulsified oil. With advanced demulsification technology, the TY series purifiers can effectively eliminate water, gas and dirts. With advanced demulsification technology, the TY series purifiers can effectively eliminate water and gas content and the recycled oil will not easily go emulsified again. The model can effectively purify various impurities, expanding the service life of oil and the operating efficiency of machinery.